Dancing with Dr. Roger: Knee Surgery. It’s funny how you make adjustments when you live with a health condition for a long time. Mary Eisentrager has made all kinds of concessions as her knees have deteriorated in recent years. Locally, she gave up hiking in the Indian Canyons, which had been a favored pastime. When visiting family in Minnesota, she had to forego trips down to the beach or out fishing. But Mary’s situation is about to change. She’s halfway through a process that will have her walking and relying on neither cane nor walker. In fact her treatment will soon find her resuming all her old activities without restriction. In March 2015 Dr. Douglas Roger performed the first of what will be two knee replacement surgeries on Mary. She is more than thrilled with initial results. “Every time I see him I want to hug him because I never thought I would feel this wonderful,” she says. Mary’s situation was complicated by the fact that she also suffered from genu valgum, a condition commonly called “knock-knee”, where the knees angle in and touch one another. Mary’s left knee was afflicted and it altered her gait, forcing her to swing her left leg outward as she walked with a cane. It was just one more example of the concessions she’s had to make to simply get around. 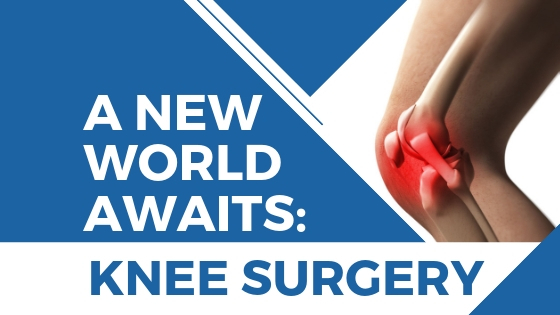 Therefore Dr. Roger had two tasks to perform when he commenced operating on Mary’s left knee in March – he needed to straighten it as well as replace the structure – and he delivered on both counts during the same surgery. Using the Subvastus Knee Approach that he developed in 2004, Dr. Roger was able to get in and out of her knee without cutting even a single muscle fiber, the same as he’s done in over 2,000 similar surgeries. His innovative approach results in patients having more immediate function, significantly less pain post-surgery and a much faster recovery. Mary is living proof of the success of Dr. Roger’s approach. She was up and walking the same day of surgery. She never found the need to take any pain medication post-surgery nor during the physical therapy sessions that followed. It was explained during her thorough pre-surgery education that it might be up to eight weeks before she could expect to return to work. Yet Mary reported back to her job as payroll supervisor at Desert Regional Medical Center in less than four weeks. Not only was Mary’s knee replacement a success, Dr. Roger also managed to rectify her “knock-knee” condition. He had been careful to explain some of the complications that might occur while fixing the deformity, which Mary really appreciated. “He didn’t pull any punches. He told me it presented a real challenge to him,” she said. Yet thanks to Dr. Roger’s well-rounded expertise, this aspect of her surgery went off without a hitch as well. “When I woke up in post-op and they told me that my leg was straight, I sat straight up in bed and had to look. I couldn’t believe it! I’ve lived with that crooked knee for so long I was just flabbergasted,” she added. Since Mary works at Desert Regional Medical Center, she of course wanted to take advantage of the fine services available to her through ICON – the Institute of Clinical Orthopedics and Neurosciences – which the Medical Center operates on campus. Dr. Roger is the Medical Director of the Joint Replacement Program at the ICON. “One of the nice things about the ICON is the whole program they have to prepare people for hip or knee replacements,” she said. There was the aforementioned pre-surgery educational session explaining what she should expect before surgery, the day of surgery, and afterwards. A physical therapist also talked to her about what she need to do pre-surgery and post to help herself with recuperation. In Mary’s case, the PT paid visits to her home to conduct therapy sessions following surgery. “I truly believe that it takes a team to make this all happen. And Dr. Roger has put together a wonderful team,” says Mary. “The office staff is fabulous, his team in the OR is great and then after surgery the physical therapists that come and work with you – they’re all just incredible. And that you can be up and walking the day of surgery – it’s amazing!” Mary has no qualms about a second surgery she will undergo this fall to replace her other knee. She eagerly awaits the outcome. “Once I get that second knee surgery done, I told Dr. Roger we’re going out dancing!” she said.